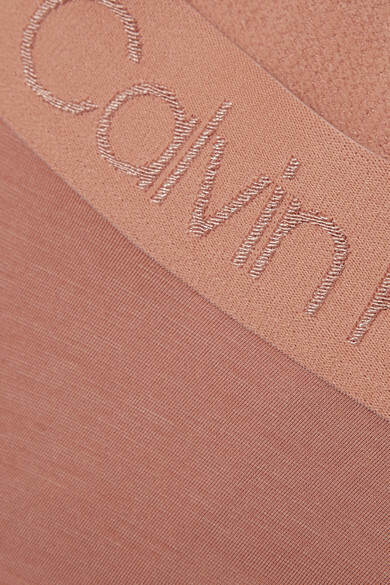 Calvin Klein Underwear's beige briefs are the perfect match to this logo-detailed bra. This mid-rise pair is made from soft stretch-jersey and cut for full coverage. They're the kind you'll reach for often, so we recommend you stock up.